Mold can be a common occurrence in cars. It can be found in neglected vehicles left out in a humid, moist environment. However, it can also be found in cars where a water spill never dried properly. Food trucks can be easily susceptible to mold if not aired out and cleaned right. The good news is that mold can be dealt with to prevent auto windshield repairs. The bad news is that leaving it to spread throughout your car can be dangerous. There are many types of mold, but all of them are generally the same. Mold is an organism that breeds quickly and decays whatever it can. Mold causes organic materials to biodegrade. That is why damp, undried areas, like car seats and carpets, are ideal candidates for this organism. Nevertheless, mold is not completely bad. 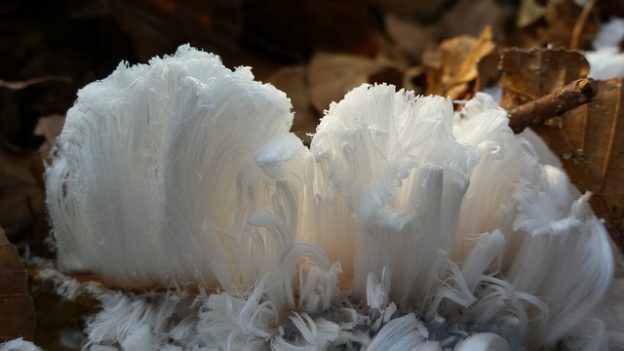 At this very moment, mold spores are in the very air we breathe. In fact, mold, a part of nature, is oftentimes used to produce some types of healthy foods (such as Brie cheese), medicine, and antibiotics. But too much of anything is never good, and that is certainly true when it comes to mold. More mold than is naturally in the air can cause allergic reactions if inhaled. Also, it can destroy (or eat) objects through biodegradation. If mold materializes in your vehicle, you should not ignore it. Mold could ruin various materials within the car including the glass, causing you to get an auto windshield repair. What causes my windshield to get mold? There are many reasons for the mold growth in your car. For one, if you left your car parked outdoors for months, mainly in a humid or moist environment, then that could cause mold to breed. Second, if you spilled water in the car and did not let it air out completely, that is another reason for the mold. Though, the scary part of all of this is that if this problem is not dealt with fast enough, the mold will spread throughout your car, going far into the glass and leading you to auto windshield repairs. Windshield mold is very dangerous. As we have mentioned, too much mold can cause many health issues. However, mold in your car indicates there are an extreme amount of dirt and other untreated problems. Though, the most threatening aspect of mold increasing and feasting on your windshield is the fact that it could be eating at the window seals. Over time (a very short time, since mold grows and eats fast), your auto glass might even break from the damage to its window seals. Driving would become highly unsafe for you at that point. If your car has mold, there are ways to combat it and prevent auto windshield repairs.First, you should always keep your car clean. Never leave trash, especially the sort that decomposes naturally (like food). If you spill a drink inside the car, wash it and let the damp area air-dry. Keep the windows down until the spill dries. 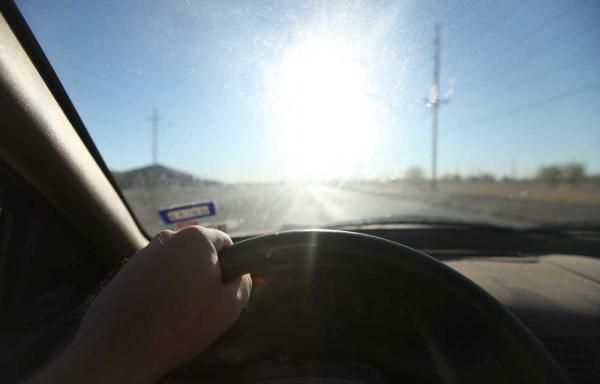 On the other hand, if you do not drive your car any more (maybe you are planning on selling it), then turn the AC on from time to time and roll the windows down. Letting the air move and refresh is important. Though, if you notice that the window seals are cracking or there is mold on them, stop driving your car and do not attempt to clean the mold on your own. Instead, call a mobile windshield repair expert and have them replace that windshield with another one and clean the panel from the mold. Mold is natural, but too much of it is bad. When found in your car, it can be dangerous and lead to auto windshield repairs if not removed fast. Never leave the mold to spread to your windshield and window seals. If that happens, call for a windshield repair immediately. This entry was posted in Uncategorized and tagged mobile windshield repair, windshield repair, Windshield repair San Diego, Windshield replacement on June 21, 2018 by admin. Spring is here and that means unpredictable weather and severe storms. Hail poses a particular danger for car owners as it can shatter windshields. Whether damaged by an accident, rock, hail or something else, a cracked windshield can make a car unsafe to drive. Can a car be driven with a cracked windshield? Windshields weakened by damage provide less protection. Windshields are specially designed to ensure the safety of passengers and drivers even if extreme impact causes them to chip, crack or shatter. They have two layers of glass laminated together. If one layer of glass breaks, the laminate and the inside layer of glass hold the windshield together, keeping pieces of glass from injuring occupants of the car or falling on the road. This doesn’t mean that you should ignore a damaged windshield, however. Even a small crack signifies that the structural integrity of the glass has been compromised. Though not an immediate danger, if the crack is large, near or touching the edge of the windshield, the glass may have to be replaced and driving the car is not recommended. 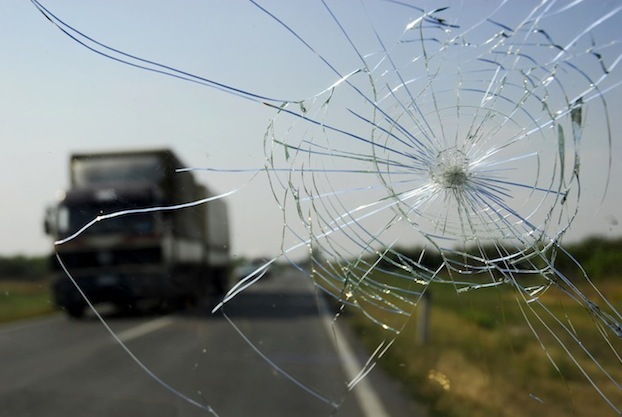 Driving with a broken windshield should also be avoided whenever the damaged glass impairs the vision of the driver. 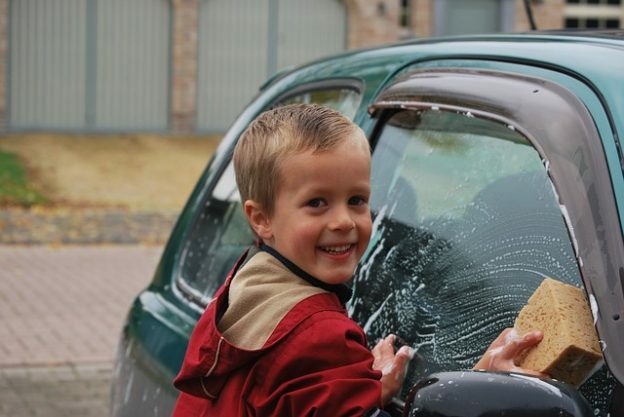 With time, as moisture, dirt and even windshield washer fluid can seep into the glass sandwich layers causing discoloration and further decreasing visibility. Another factor to consider when deciding to drive with a broken windshield, call for onsite repair or have the car towed, are the relative state laws. 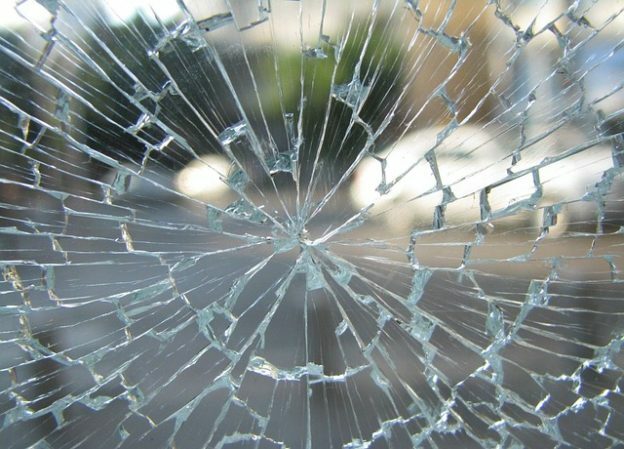 To ensure the safety of everyone on the roads, it is illegal to drive with shattered glass or glass that has sharp edges exposed. Drivers cannot operate vehicles if the windshield has any crack or discoloration that obstructs or interferes with their ability to see clearly. Most small chips can be repaired, One of the problems with cracks in the glass is that they spread. In the case of windshields, chips and cracks create weak points in the glass that will likely spread due to a few factors – going over bumps on the road, changes in temperature that cause the glass to expand and contract all put stress on the glass. This additional stress causes the glass to shatter and the condition of the windshield will continue to get worse the longer you wait to get it fixed. The good news is that windshields are engineered to hold together. Because the windshield is laminated, the glass shouldn’t separate from the frame or collapse into the car. What Should I Do with a Cracked Windshield? 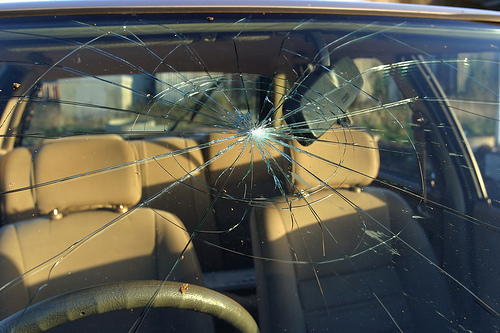 A shattered windshield must be replaced; large cracks or those that continue to spread will also likely require the glass to be substituted entirely. If your windshield has been damaged, contact your trusted car glass repair service to come up with the best solution to get you back on the road. How Can I Avoid Hail Damage? The months of May through September are peak season for hail when warmer weather brings thunderstorms, often including high winds and hail. Whenever possible, park your car in the garage. If severe weather strikes while driving, carefully pull into a gas station or under an overpass for protection until the hail storm has passed. If you have a cracked windshield, call 7 Stars Auto Glass in San Diego and talk to one of our certified technicians to go over the best option for you. This entry was posted in Uncategorized and tagged car glass repair, cracked windshield, Windshield repair San Diego, Windshield replacement on May 18, 2018 by admin. This entry was posted in Uncategorized and tagged cracked windshield, mobile windshield repair, windshield repair, Windshield repair San Diego, Windshield replacement on October 11, 2017 by admin. This entry was posted in Auto Glass Replacement and tagged Windshield replacement on June 27, 2017 by admin. This entry was posted in Auto Glass Replacement and tagged Replacement blogs, Windshield replacement on May 11, 2017 by admin. 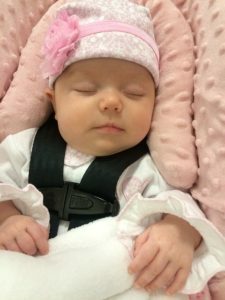 This entry was posted in Auto Glass Replacement and tagged Replacement options, Windshield replacement on April 10, 2017 by admin.